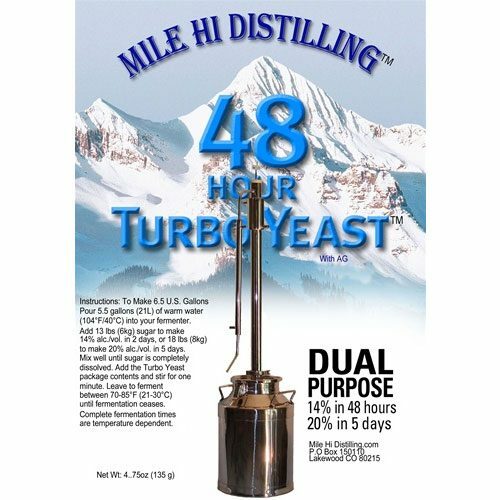 Kosher Distillers Turbo Yeast 14% in 48 hours or up to 20% in 5 days. 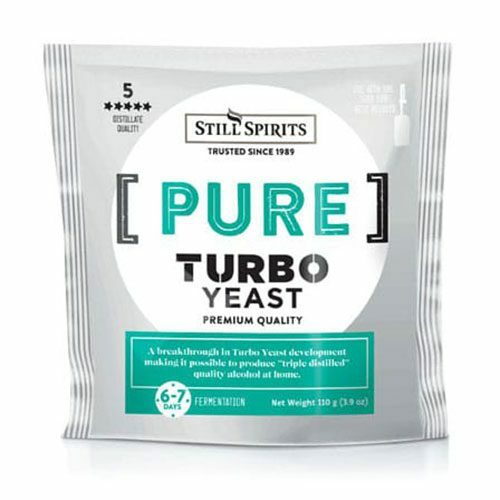 The 48-Hour Turbo Yeast with AG 55lb (25kg) is specially formulated for a pure fermentation, and produces very little volatiles. 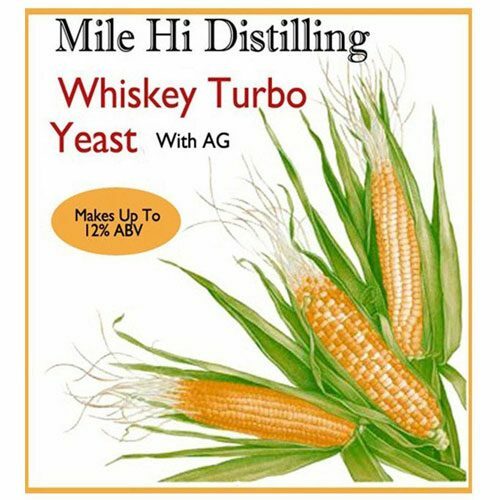 Specifically formulated to work with just sugar or mash made with corn, barley, rye, oats, etc. 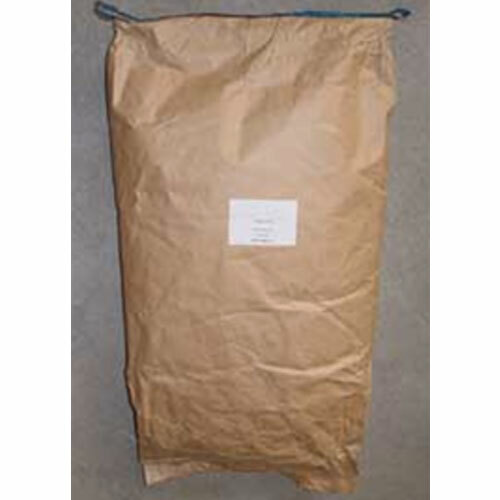 This 55 pound bag is equivalent to 184 Bags of our standard 48hr Turbo. Instructions: Pour 5.5 gallons (21L) of warm water (104 Degrees Fahrenheit/40 Degrees Celsius) into your fermenter. Add 13 lbs. sugar to make 14% alc./vol. in 2 days, or 18 lbs. 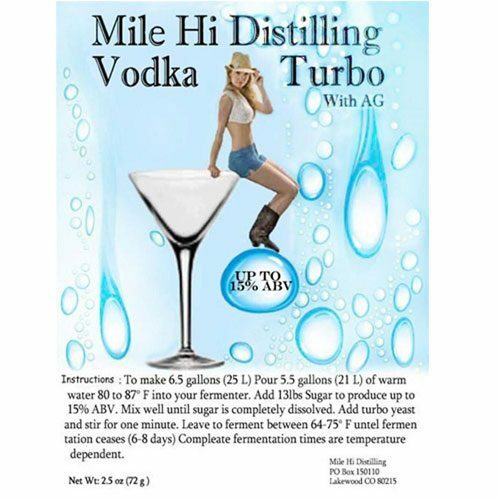 to make 20% alc./vol. in 5 days. Mix well until sugar is completely dissolved. Add the Turbo Yeast 135 grams contents and stir for one minute. Leave to ferment between 70-85 Degrees Fahrenheit/21-30 Degrees Celsius until fermentation ceases. Complete fermentation times are temperature dependent. 135 grams to 5.5 gallons of water so figure 25 grams per gallon of water for larger size fermentation. Important Notice: After your sugar is dissolved, cool to 75-80 Degrees Fahrenheit before adding your yeast. Any temperature 60 Degrees Fahrenheit or lower will cause your yeast to become dormant. Temperatures over 95F will cause off flavors and will kill off yeast cells. have won 4 awards in the Sip awards this year. Will continue to use, a great yeast.The Moonshine Co.